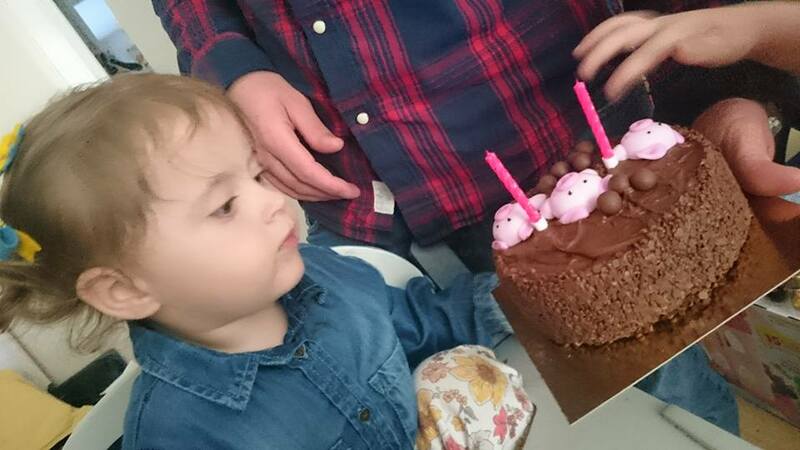 Two weeks ago my littlest baby turned two. Two years old. I can't quite believe it. C turned two after E was born and he seemed so grown up. E still feels like my little baby and so much smaller than C was then which is ridiculous. She definitely isn't a baby though! She's so feisty, cheeky and never stops talking. Her second birthday fell on C's first day at preschool. Usually I would have wrapped all of her presents the night before and set them out on the sofa, ready for her to open in the morning. I still wrapped the gifts but hid them in the kitchen instead. I didn't think we'd have enough time to open them before we set off to preschool and I worried that C would want to stay home and play with E's new toys too. C was only in from 9-10.30 so my thoughts were that we'd just open them when we got back. 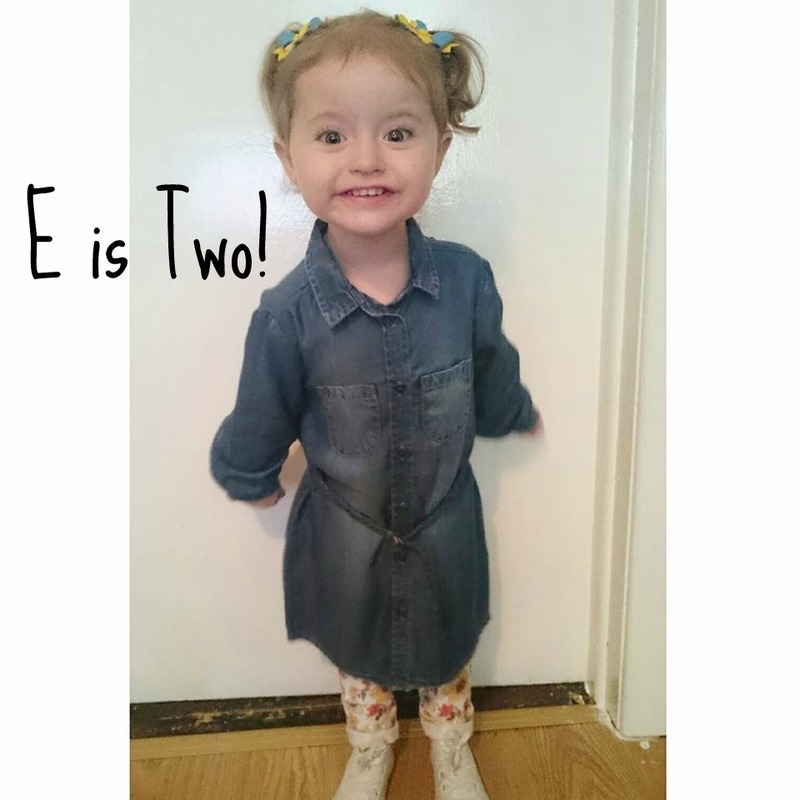 I felt a bit guilty, as though C's first day took preference when really they were both equally as important but at the age of 2 she didn't really know any different. After we collected C we took the kids round to Chris's mums house. 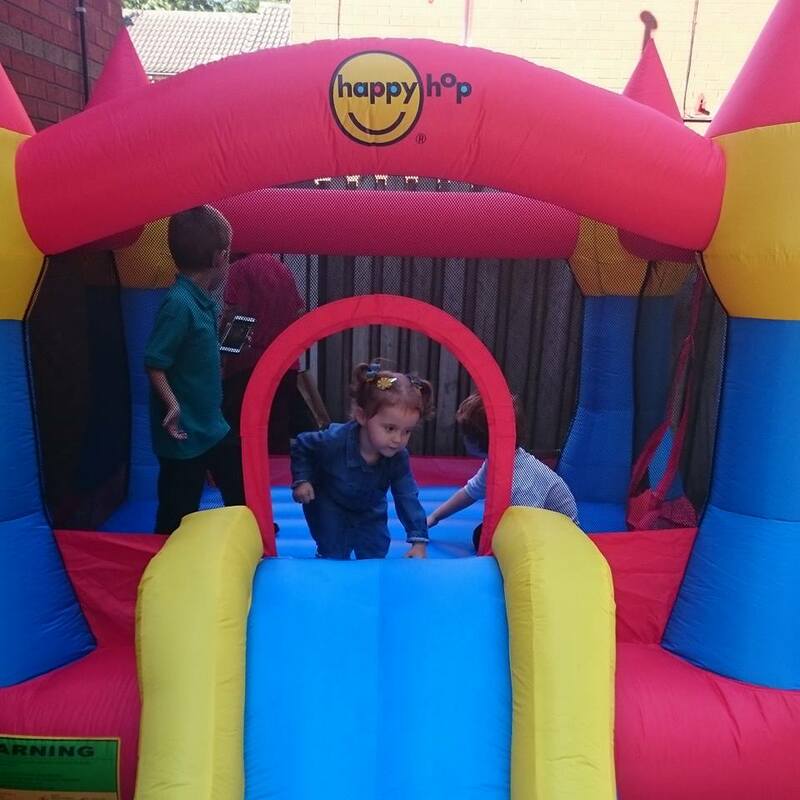 A lot of the family were there, she got lots of presents, cards and money, it was a sunny day and my mum in law got the bouncy castle out. It was like a little birthday party for E! She had the best time and it meant that we didn't get home to open gifts until around 5pm. We had some party food, just the four of us, and she conked out by 7pm! It was a very impromptu day but it turned out to be a fantastic one. 2 comments on "E is Two!" Aww! Bless her! Happy birthday to your girl. It sounds like a great day was had.